My friend Arturo came to Pittsburg for a UN conference and this past Monday we met up to start my vacation. We had a nice evening in Pittsburgh having dinner at the Sonoma Grill. 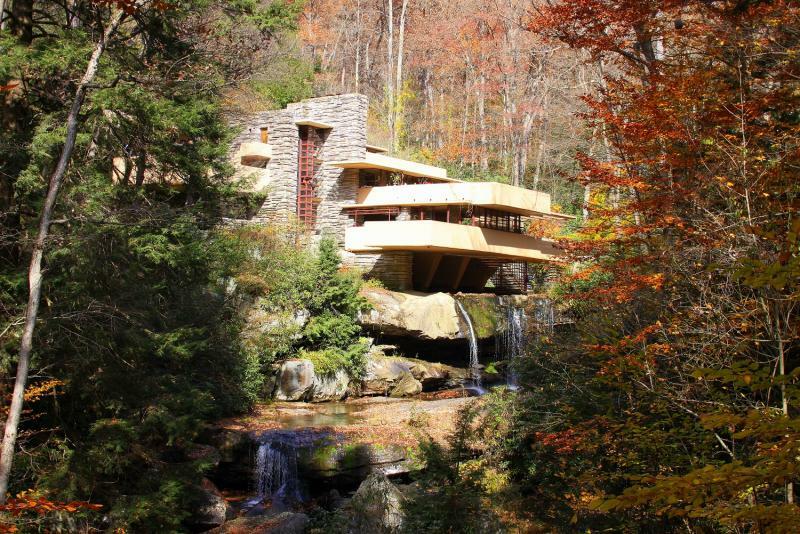 In the morning we headed off to Falling Water a house desinged by Frank Lloyd Wright. We had a very interesting tour. Afterwards we headed West towards Ohio. Driving along RT 40 the old National Road we found Fort Necessity. In 1754 it was a battlefield in the French and Indian wars. If the French had won I might be speaking French today. Oh wait I often speak French anyway. After we arrived in Newark we planned on doing many of the things we enjoyed before when Arturo lived here. Many good meals along with shopping and gallery hopping. In one we both found paintings we loved. The painting I wanted might be too large for my living space. We will see who buys their painting first. All in all a good time. Back to work tomorrow but it was nice to have been away. I have many ideas for the next get-away. For those who welcome others into their home I now appreciate the amount of work and planning involved. Of course living as a single person I have what I want in the house so I had to grocery shop. I had to call my housekeeper to clean the place. I even thought he should have clean sheets. I baked croissants and made omlettes and French pressed coffee for breakfast. I am grateful we ate out all the other times. My motto is let the professional do the cooking. After my guest left I had more bed linens and towels to wash. Corky could return to his room. When Arturo went in his bedroom he shut the door and Corky who was following him gave a surprised look being shut out of his bedroom. He is getting back to routine and has regained his bedroom. If I ever welcome guests again I will be better prepared. Or better at avoiding the whole situation. I'm glad that you had a great vacation. There is nothing better than spending time with good friends...especially ones that you don't get to see as often as you would like. 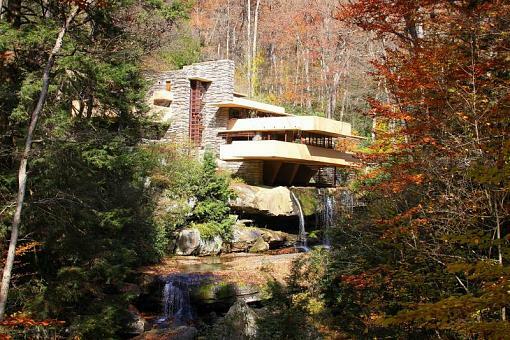 Some fine day I'd like to visit Falling Water and various other Frank Lloyd Wright houses and buildings. Wright was a great architect and great artist. 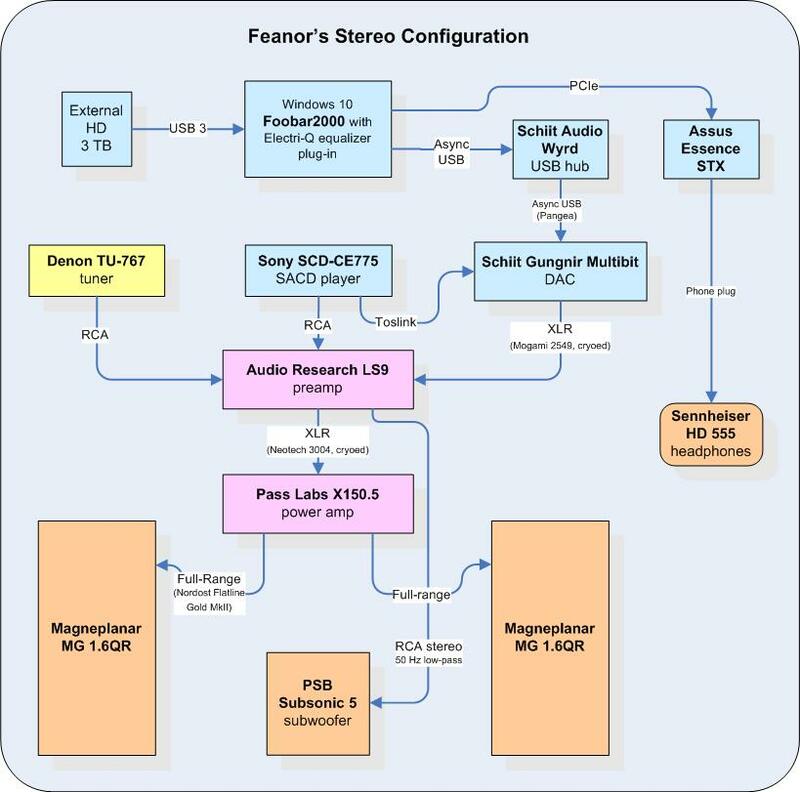 Feanor that looks so cold. The house is made from stone, cement, steel and glass. As a summer home it would be fine but all those cold stone floors. The windows are single pane in steel frames so I do not think they would keep out much cold. Of course the Kaufmann's had servants so they did not want for anything. I like my photograph taken on a warm fall day. All the beautiful fall colors and gentle breezes. Well, the house was designed before our present concern for energy efficiency. And, yes, the owners were rich.